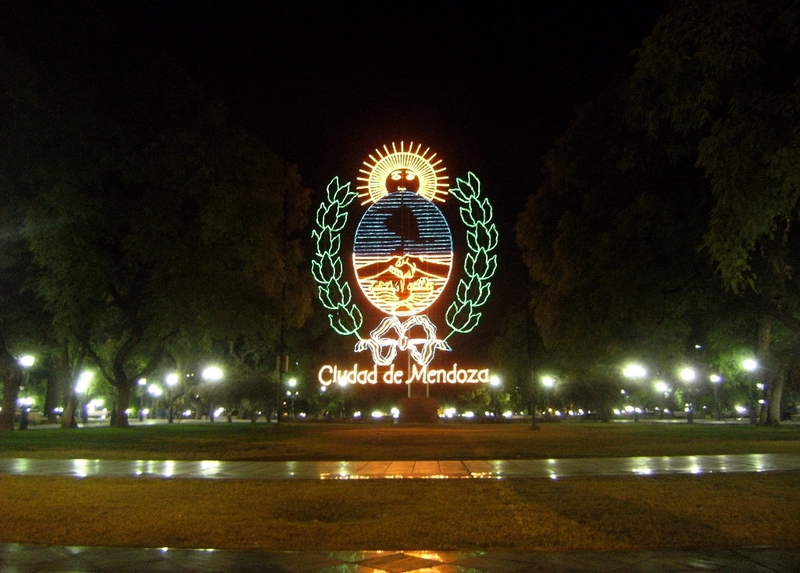 The plaza’s the center of Mendoza. Like a mini Central Park. 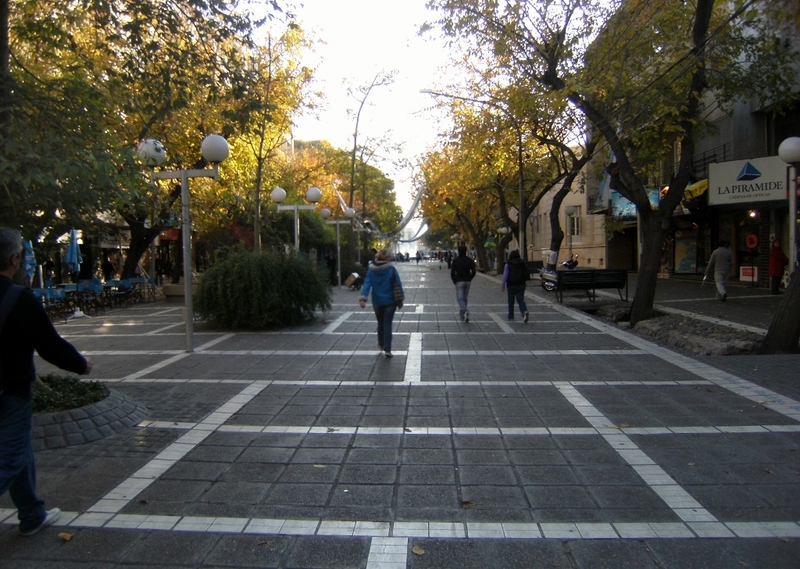 Art’s sold on the sidewalks. 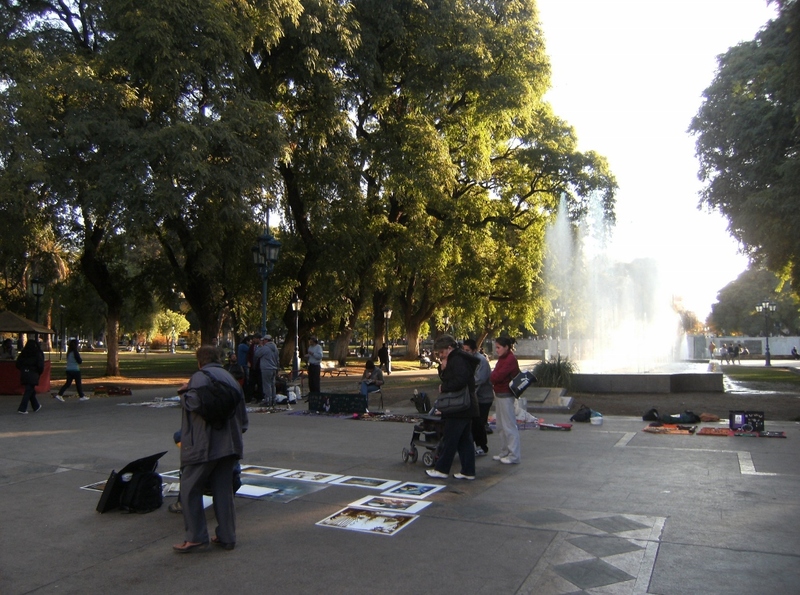 People sit around the fountain. Ryan shows me how to properly throw a frisbee in the grassy area. 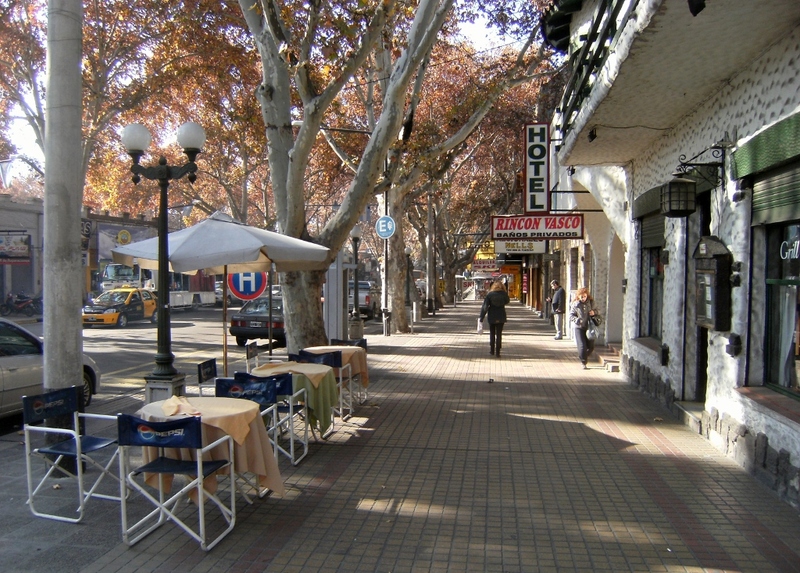 Nearby are nice restaurants, the swanky Park Hyatt, and plenty of shopping – remember Argentina’s known for its leather goods. The streets are filled with patriotic gear for the World Cup, which is mostly the same gear they were selling for the bicentenario. 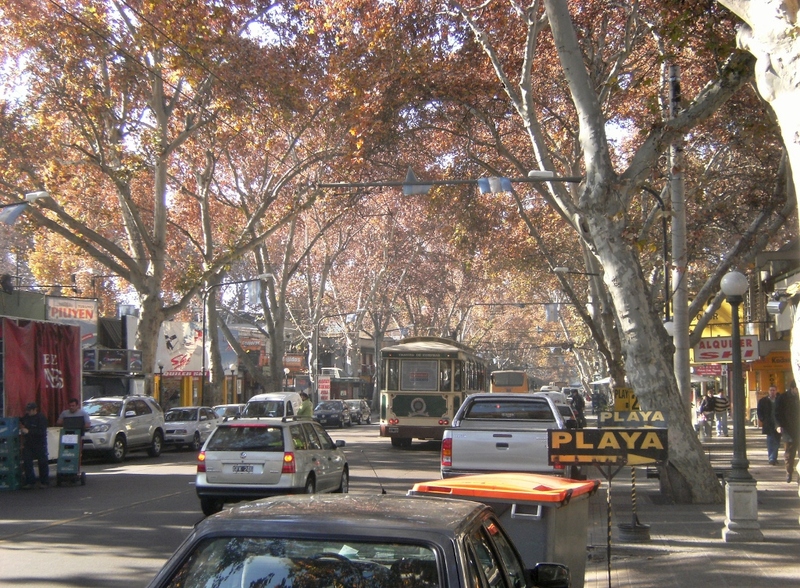 Shakira’s “Waka Waka” song can be heard all around the city. 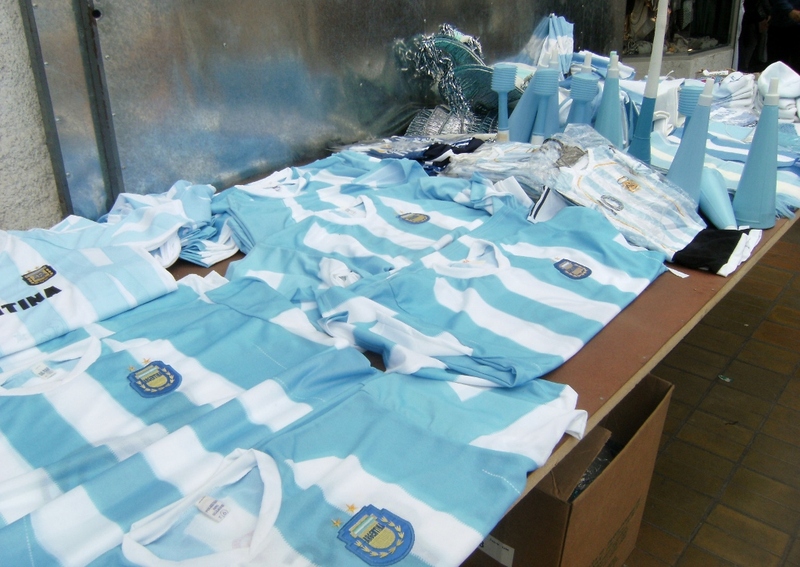 And little pop up shops sell jerseys and soccer balls.